In traditional cataract surgery, your doctor uses a blade and then sound waves, suction, and irrigation to break up and remove the cloudy lens and prepare the eye for the new clear lens. The science of cataract surgery is getting better all the time. New technology designed to make the procedure more accurate and comfortable is now available. Now you can even choose new surgical methods, such as the use of precision lasers. In laser cataract surgery, doctors use a precision laser beam to facilitate removal of the cloudy lens and prepare the eye for the new clear lens. New lasers enable precision performance while minimizing the use of sound waves. 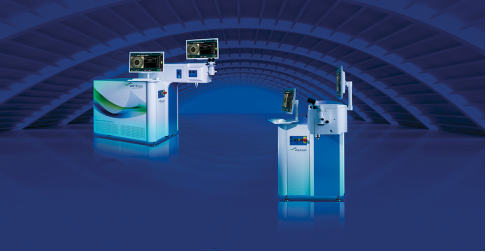 Your doctor’s skills are complemented by the computer-guided accuracy and consistency of the laser. 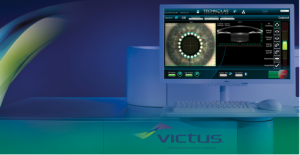 Dr. Tayfour and The Windsor Laser Eye Institute are now proud to offer the advanced VICTUSTM laser. If you or someone you love is thinking about cataract surgery, please know you have more choices than ever before. Ask us today to explain all your options.